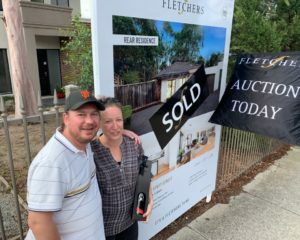 Happy New Year and welcome to the 2019 series of Elite’s Melbourne Property Market Updates. We are really looking forward to a great year. 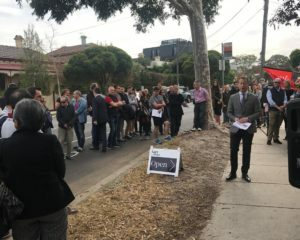 The start of 2019 has been nothing short of positive for Melbourne’s Property Market. Not only we, at Elite, have had an increase in enquiry from buyers but many buyers who were sitting on their hands last year, are now coming forward and are ready to buy. We speak to other buyers advocates and selling agents regularly and they are reporting the same sentiment. Selling agents are seeing higher volumes of groups through open for inspections. Interestingly, some properties that had passed in last year and were getting no one through their opens, are now getting numbers in excess of 10 in some of their open for inspections. Maybe the Christmas break was the market reset we needed to have. Have we seen the worst? Well we quite possibly have. Sales volumes were reasonable last week with 184 selling under auctions conditions and 695 private sales. The 9th of February will see an increase of auctions numbers with the 23rd of this month being the biggest auction weekend thus far this year. So is it a good time to buy in 2019? A question we are asked on a daily basis. One thing to note when buying property for investment, its important to focus on time in the market, not timing the market. No one can ever predict the peak or the bottom, in fact, we actually don’t know the bottom has hit us until six months after the event. At that point, its too late and the market has started to creep back up. What we do need to focus on though is population growth (demand) and stock levels (supply). While Melbourne’s population keeps growing at the rate it does, it is highly unlikely we are going to see any sharp falls. In fact, the property market last year copped a belting from the media and also many buyers were being restricted in their borrowing capacity. With so much negativity thrown at the market, it still remained quite resilient. The start of 2019 so far has shown a much more positive mindset for buyers with property but we are keen to see whether vendors are prepared to take the jump and put their properties on the market, or are they going to wait? The wait is what could cause us back into a shortage of stock which in turn will likely see property prices stabilise and infact could increase in value. If you have any questions in relation to the property market you would like answered, or if you would like a free property portfolio review, please do not hesitate to contact David Easterbrook (david@elitebuyeragents.com.au) or myself (kim@elitebuyeragents.com.au).